Negative or Positive Gearing a Property? Most property investors have heard of the term negative gearing and see value due to the related taxation deduction against other business or employment income which results in a higher tax refund or less tax payable. Clearly negative gearing favours higher marginal tax rate taxpayers as the tax benefit is larger in both percentage and dollar terms. Currently, February 2016, there is talk at the political level of negative gearing being altered to be less attractive. Current media attention is focused on negatively geared properties. The question arises, would such a change also be directed at investment in shares as well? Negative gearing of a property occurs when deductible expenses exceed the rental income earned on that property. Is negative gearing good? Yes, for those receiving taxation refunds due to negative gearing of that property. The higher the marginal rate, the larger the taxation refund! However, a negatively geared property investment is even better when growth of the capital value of that property is such that after paying any capital gains tax (CGT), those after tax capital gains exceed the after tax rental losses. This can be the major reason for some property investments. On the other hand, a negatively geared investment property will not increase the investor’s after-tax wealth if a capital loss occurs on the eventual sale. This then becomes the sixty-four dollar question! Will after tax capital growth cover the rental losses? As rent rises over time, particularly with low interest rates, a property investment will typically become positively geared (ie rent exceeds rental costs). The net rent is then taxed at the owner’s marginal rate. There will always be exceptions, such as in some remote mining towns in 2016. Is a positively geared property better than a negatively geared property? The answer is categorically yes!, assuming all other things being equal. The sooner a property becomes positively geared, the better! Potential investors will watch with interest over the next few months to see if negative gearing continues on as is, or is changed to only permit negative gearing on new properties (or new share portfolios) which is one possible modification. It is most unlikely that either major political party would remove negative gearing on existing investments, which would be “political suicide”! This possibility, no doubt is being considered by some property investors at this point in time. This is intended as general advice, investors, property developers, business and property owners, should seek specific legal, financial & taxation advice in relation to their own circumstances. Buyers and Sellers Use the Margin Scheme to your Advantage! The margin scheme may be applied to the calculation of GST on the sale of property under certain circumstances. A sound grasp of how and when the margin scheme may be applied can result in a better outcome from both a buyer and seller’s point of view. GST will be lower if the margin scheme is applied, as GST is calculated on ‘the margin’ between the original purchase price of a property and the current contract selling price rather than 1/11 of the full sale price. Stamp duty, conveyancing costs and any other purchase costs, renovation or extension costs are not added to the original purchase cost. If the margin scheme is to apply, both the buyer and seller must agree in writing, normally in the contract, that the margin scheme is to apply. The margin scheme is best applied when the buyer is a not registered for GST such as a typical family buying a home, or a rental property. In this way, the seller will earn the same profit, whereas the family will acquire their new home for a lower amount. The extra ‘profit’ could in fact be ‘shared’! It becomes obvious, that a builder, or property developer, will sell more properties, when a lower price is charged, so it is in their interest, to use the margin scheme, all other things being equal. There are a number of other elements to the law as it is applied to property and GST, however one key aspect is being aware of when the margin scheme cannot be applied. The margin scheme cannot be applied in a number of instances, but most commonly if the full rate of GST was charged when the seller originally purchased the property. If the margin scheme was applied initially when the property was purchased, then the margin scheme can be applied on the sale. Sally a developer, who is registered for GST, purchased a block of 3 units for $300,000 in 2008 under the margin scheme. Stamp duty, legal costs and the cost of extensive complete renovations to every room added a further $200,000. Sally has rented the 3 units up until December 2015. Sally contracts to sell the units to 3 separate buyers who will occupy them as their main place of residence. Each unit will sell for $250,000 plus GST. GST will be $25,000 under normal rules, or $15,000 under the margin scheme. Typically Sally would find it easier to sell each unit for $265,000 rather than for $275,000, and earn the same profit margin. This is intended as general advice, investors, property developers, business and property owners, should seek specific taxation advice, legal, and financial advice in relation to their own circumstances. Grant borrows $400,000 for an investment property. Two years into the loan, he reduces the loan by $100,000 from the proceeds of an inheritance. The same would apply if had been a tattslotto win! Grant’s loan balance is $290,000 after this reduction. One year later he decides to take a year off to travel overseas. He redraws $40,000 to fund the holiday. Unfortunately, Grant has created a mixed purpose or a “shandy’ loan, as he has mixed private and investment borrowings in the one loan. 87.5% will be tax deductible, and 12.5% of the interest incurred each financial year will be private. Grant became aware of his error, and decides to repay the $40,000, so as to “recreate” a 100% tax deductible investment property loan. Unfortunately, this will not be effective based on Domjam’s Case and a Tax Ruling released by the Tax Office in 2002. The preferred pathway, subject to loan costs, is to put the $320,000 loan into two sub accounts. In this way, Grant can legally claim all interest on the $280,000 investment loan and he could then ‘fast track’ any capital repayments against the $40,000 private loan. This is a fairly common ‘trap’ we see carried out by rental property owners, who could avoid the loss of flexibility and tax deductibility by considering the various tax implications initially. 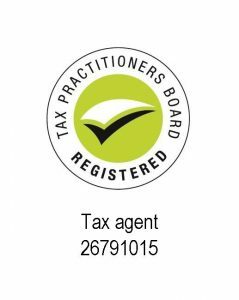 Brian Watts is a Partner of Watts Price Accountants, 44 Wilson Street, Horsham. Netta inherited a residence from her cousin in 2010. The residence was built in 1970, owned as joint tenants by her cousin with her father. The father left his 50% to his daughter in 1990. The cousin continued to live in the home until her death in 2010. Netta now asks what the Capital Gains Tax (CGT) implications of this are if she was to sell the home which has been rented to a tenant and has done so since 2010. The valuation of this property in 2010, when the cousin died, will become important, as this becomes the cost base for Netta when she decides to sell this inherited property. A beneficiary of a main residence only has two years from date of death to sell and settle a contract for the sale to be CGT exempt former main residence, unless they use the dwelling as their own main residence. Consequently CGT will apply and the sale would need to be declared in Netta’s tax return in the financial year in which the contract is signed, which won’t necessarily be the financial year it is settled. This fact should be kept in mind for those selling property towards the end of a financial year, which are subject to CGT. Executors of deceased estates are advised to give thought to the need for a property valuation at the time of death of a property owner. Whilst that valuation may not be required for tax purposes immediately, it may be vital some years later. It is clear that CGT is not payable on a property at date of death. CGT potentially is a quassi ‘death tax’ and can be managed and planned for. When buying property or about to make a major decision it is best to consult an expert before deciding in order to reduce any error that could hurt you in terms of taxation, CGT or GST on property. This will also help minimise strategic errors such as making a purchase in the wrong name that could affect tax, succession or estate planning purposes which impacts on the next generations tax position. Your initial consultation will be free, so call now on 03 5382 3001 to get off to the best possible start!